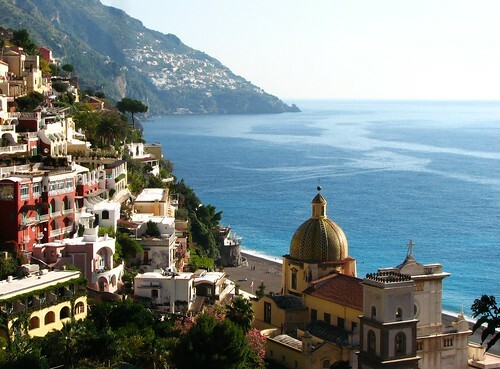 Teresa Curran is dreaming of the warm seas and blue skies of Positano on the Amalfi Coast, Italy – the perfect place to while away the hours with a good book and glass of limoncello. Isn’t summer wonderful? The warmth of the sun on your face, the salt spray of the ocean on your lips, a good book, a glass of wine ... the guy next to you on the Tube coughing in your face, your umbrella blowing inside out, the delightful feeling of wet shoes refusing to dry out all day … London, I love you, but it’s time for a holiday. As a New Zealander transplanted in London I’ve found it difficult to get my head around distances in Europe. It’s an awfully long way between NZ and our lovely neighbours (there is no bridge, no tunnel and you certainly can’t swim), yet people here in the UK talk about Europe as if it’s a long way away. It’s so easy to jump on the Eurostar for a weekend in Paris, or to fly to Dublin for a couple of days. But right now, I’m dreaming of the sun and northern Europe seems even too close. 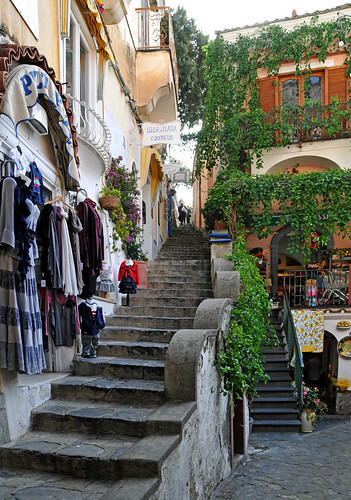 I want to return to Positano on the Amalfi Coast. It’s not really very far away. The Amalfi Coast (about 'ankle-height' on the west coast of Italy) certainly looks like Europe. Houses perch on stone cliffs overlooking the Mediterranean. Sure, they are beautiful, but they are also unassailable fortresses against both people and the inexorable tide. The Coast was an important maritime republic during the 10th and 11th centuries and now is a UNESCO World Heritage Site. I’m not the first and I certainly won’t be the last to be transfixed by the Amalfi Coast. 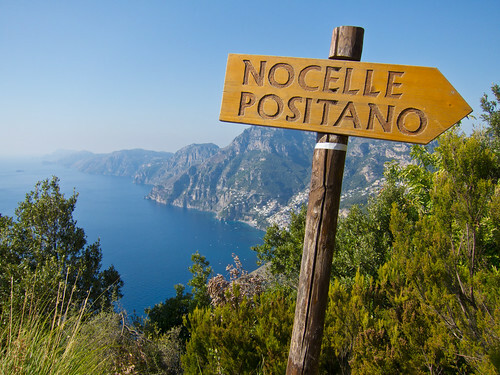 In 1953 John Steinbeck wrote that “Positano bites deep. It is a dream place that isn't quite real when you are there and becomes beckoningly real after you have gone.” It could be a movie set, it is that stunning. My hotel had views that belong to an old Hollywood movie. You could imagine Grace Kelly driving by in a headscarf and oversized sunglasses, or Sean Connery sipping a martini and flirting with a local beauty. The area evokes images of pre-war parties where rich young things indulged in both sunshine and social climbing. One evening, as the long white curtains floated in the breeze, I had a few glasses of limoncello myself (Sean Connery the Younger was unfortunately absent). I’m usually more of an adventurer, but this part of the world has a relaxing effect. I was content to while away the days in the sunshine doing little more than turning the pages of my book or gazing at the view. Admittedly the trek up the hill to my hotel was horrendous in the midday sun, and Italian drivers terrified me on the narrow roads with treacherous drops, so I decided staying put was the best option. 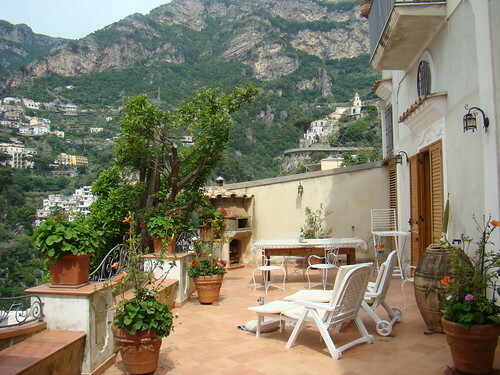 Dreaming of your own Amalfi Coast escape? Click here to view flights to Naples from £125 or give our consultants a call on 0208 045 4186 to book. Read more about Teresa's travels on her blog.